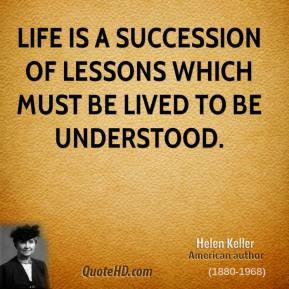 Life is a succession of lessons which must be lived to be understood. 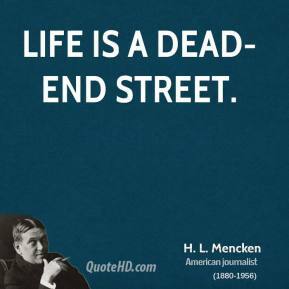 Life is a dead-end street. 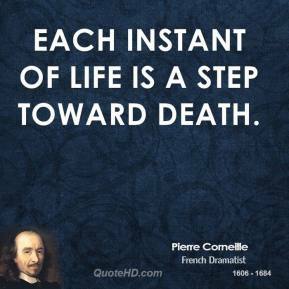 Each instant of life is a step toward death. The truth is you don't know what is going to happen tomorrow. 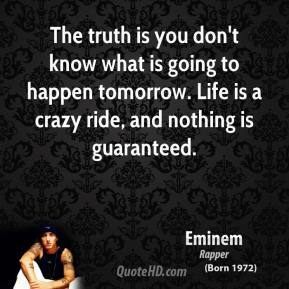 Life is a crazy ride, and nothing is guaranteed. 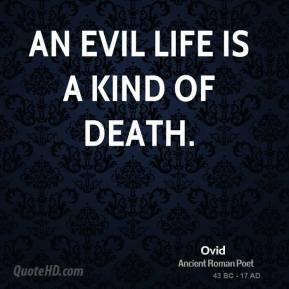 An evil life is a kind of death. Why do people embrace God? 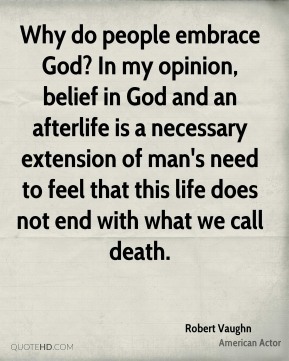 In my opinion, belief in God and an afterlife is a necessary extension of man's need to feel that this life does not end with what we call death. 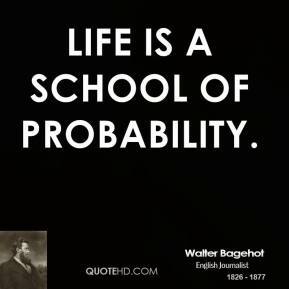 Life is a school of probability. 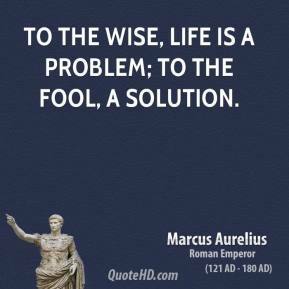 To the wise, life is a problem; to the fool, a solution. 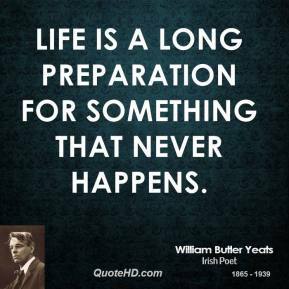 Life is a long preparation for something that never happens. 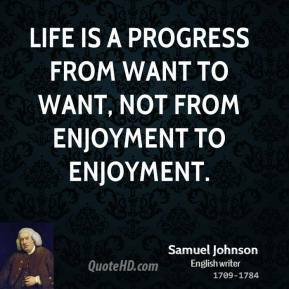 Life is a progress from want to want, not from enjoyment to enjoyment. 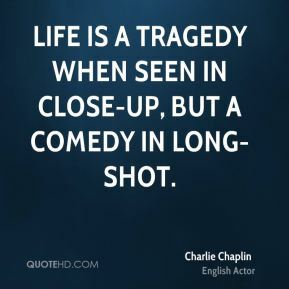 Life is a tragedy when seen in close-up, but a comedy in long-shot. Life is a series of steps. Things are done gradually. 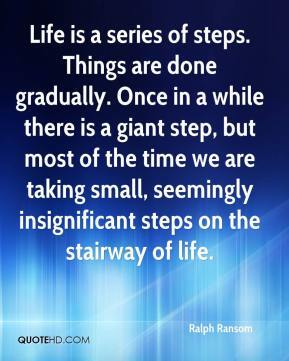 Once in a while there is a giant step, but most of the time we are taking small, seemingly insignificant steps on the stairway of life. 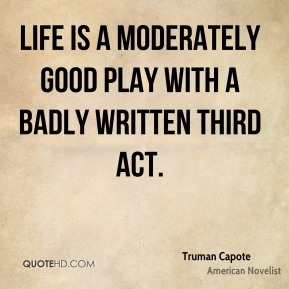 Life is a moderately good play with a badly written third act. 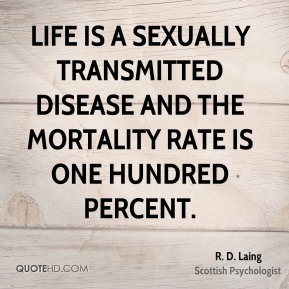 Life is a sexually transmitted disease and the mortality rate is one hundred percent. 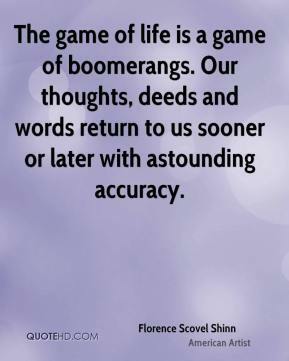 The game of life is a game of boomerangs. Our thoughts, deeds and words return to us sooner or later with astounding accuracy. Life is a game. 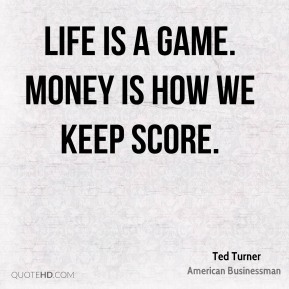 Money is how we keep score. Life is a series of natural and spontaneous changes. Don't resist them - that only creates sorrow. Let reality be reality. 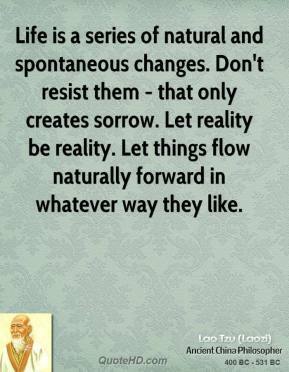 Let things flow naturally forward in whatever way they like. 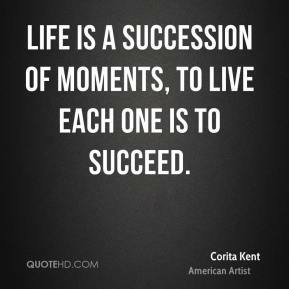 Life is a succession of moments, to live each one is to succeed. 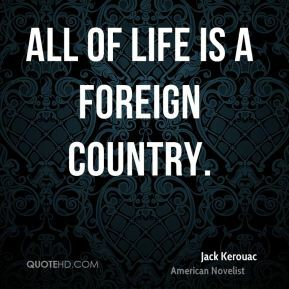 All of life is a foreign country. Life is a pilgrimage. 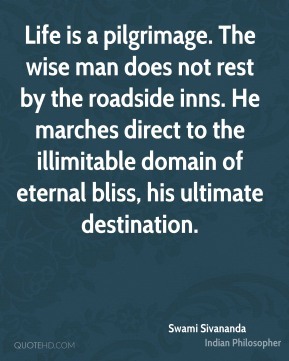 The wise man does not rest by the roadside inns. He marches direct to the illimitable domain of eternal bliss, his ultimate destination. 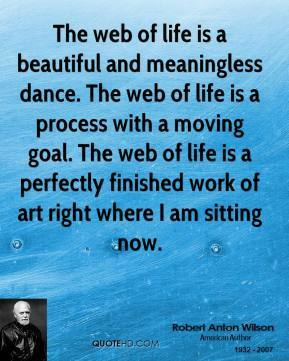 The web of life is a beautiful and meaningless dance. The web of life is a process with a moving goal. The web of life is a perfectly finished work of art right where I am sitting now. 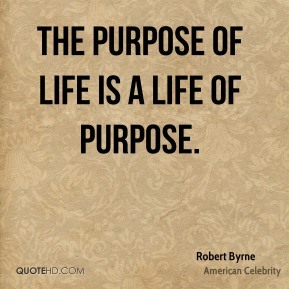 The ability to take pleasure in one's life is a skill and is a kind of intelligence. So intelligence is a hard thing to evaluate and it manifests itself in so many different ways. 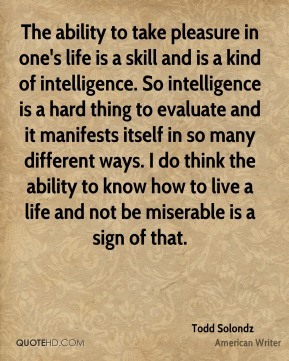 I do think the ability to know how to live a life and not be miserable is a sign of that. 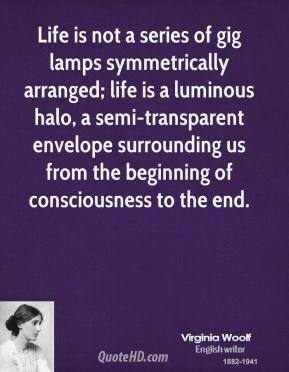 Life is not a series of gig lamps symmetrically arranged; life is a luminous halo, a semi-transparent envelope surrounding us from the beginning of consciousness to the end. 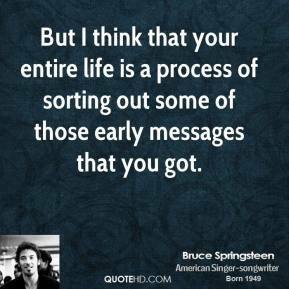 But I think that your entire life is a process of sorting out some of those early messages that you got.